What started JYB's adventure was a desire; the desire to take care of ourselves by taking care of the world around us. That is how they created a line of responsible, positive, organic cosmetics that fit urban lifestyles. Over four years of research and development and thousands of ideas later… and here they are! 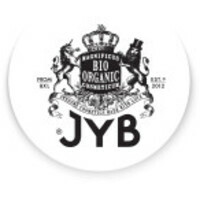 JYB designed the line to be as natural and organic as possible, with delicious fragrances and textures and, especially, with long-lasting efficacy! Skin care products for everyone, both men and women. There are no secrets between us… Everything is written on the label! And we might add that JYB's completely new laboratory has been elaborated in order to meet every standard in organic cosmetics. Taking care of you also means responsible manufacturing, in small quantities, to bring you the freshest products! They are prepared in vacuum chambers to carefully protect all the great ingredients. And all JYB products are vacuum-packed and keep up to 6 months after opening. And since JYB always take their ideas all the way, the entire JYB line is marketed without any outer-packaging.